Our monthly article about most searched Bollywood celebrities in past month is here. This time we are going to publish results of most googled and most youtubed celebrities. Have a look and have fun! 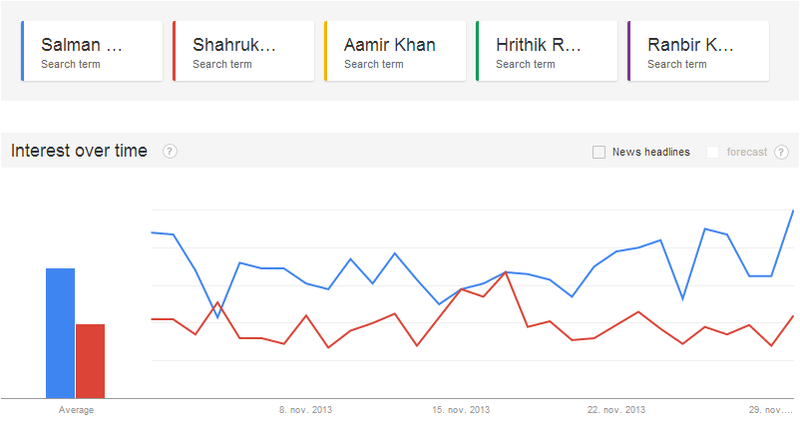 5- Aamir Khan (11 Points): Not enough search volume to show results. 5- Aamir Khan (17 Points): Not enough search volume to show results. Shahrukh Khan, Ranbir Kapoor, Aamir Khan & Hrithik Roshan weren't searched for often enough to appear on the chart. 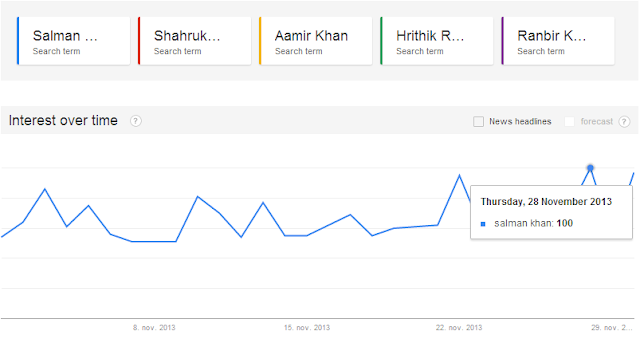 Ranbir Kapoor, Aamir Khan & Hrithik Roshan weren't searched for often enough to appear on the chart. 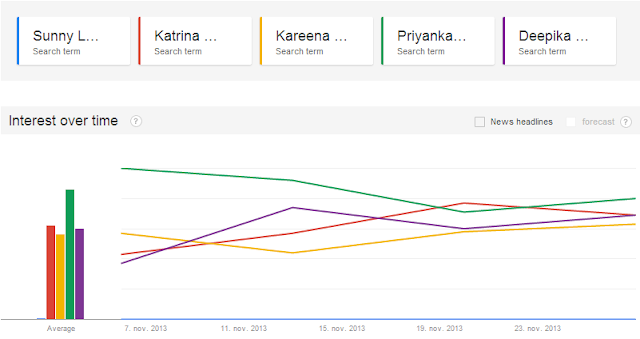 1- Priyanka Chopra (86 Points): Not enough search volume to show results. 2- Katrina Kaif (62 Points): Not enough search volume to show results. 3- Deepika Padukone (60 Points): Not enough search volume to show results. 4- Kareena Kapoor (56 Points): Not enough search volume to show results. 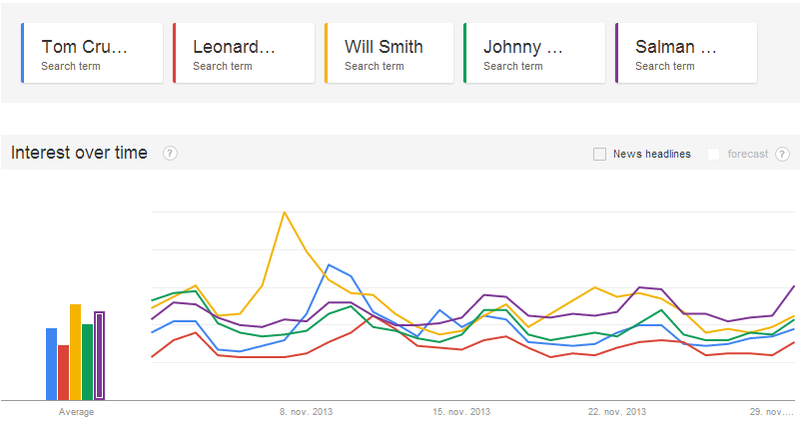 5- Sunny Leone: Not enough search volume to show results. 3- Deepika Padukone (36 Points): Not enough search volume to show results. 4- Kareena Kapoor (32 Points): Not enough search volume to show results. 3- Tom Cruise (21 Points): Not enough search volume to show results. 4- Johnny Depp (20 Points): Not enough search volume to show results. 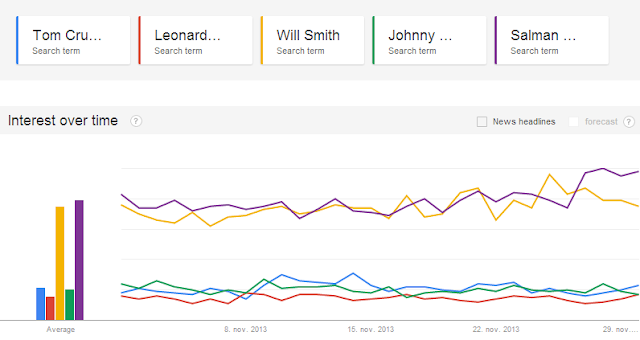 5- Leonardo DiCarpio (15 Points): Not enough search volume to show results.